. Mother's Day will be here before you know it, which is why a group of fabulous bloggers have come together to share gifts and giveaways that are perfect for the special lady in your life! Be sure to hop around to them all, including the Grand Prize of a $100 Gift Card to aka originals! Enter to win the hand stamped jewelry Grand Prize here. 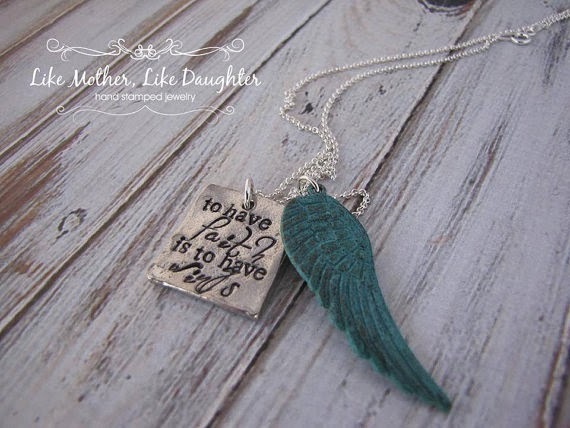 Mommy's Moments sponsor Like Mother, Like Daughter is giving away a Hand Stamped necklace! So Easy Being Green and Viva Veltoro, the Blogging Mamas Network, and the Something Special for Mom participating bloggers are not responsible for sponsors who do not fulfill prize obligations. I really like the Copper Etched Cuff Bracelet - Owl - Owls on a Branch. It is really cute. I love Owls and collect them, so the braclet would look great on me.